We list a few quotes from the sessions that stayed with us and deserve appreciation. Last weekend the KLF was packed with enthusiastic Karachiites all eager to grab the best seats in their favourite sessions, and why not? With speakers like Ayesha Jalal, Mirza Waheed, Nadeem F. Paracha and Sheema Kermani, it’s no wonder all of Karachi turned up in throngs. From insightful discussions to book launches and documentary screenings, the three-day event had a lot to offer the attendees. 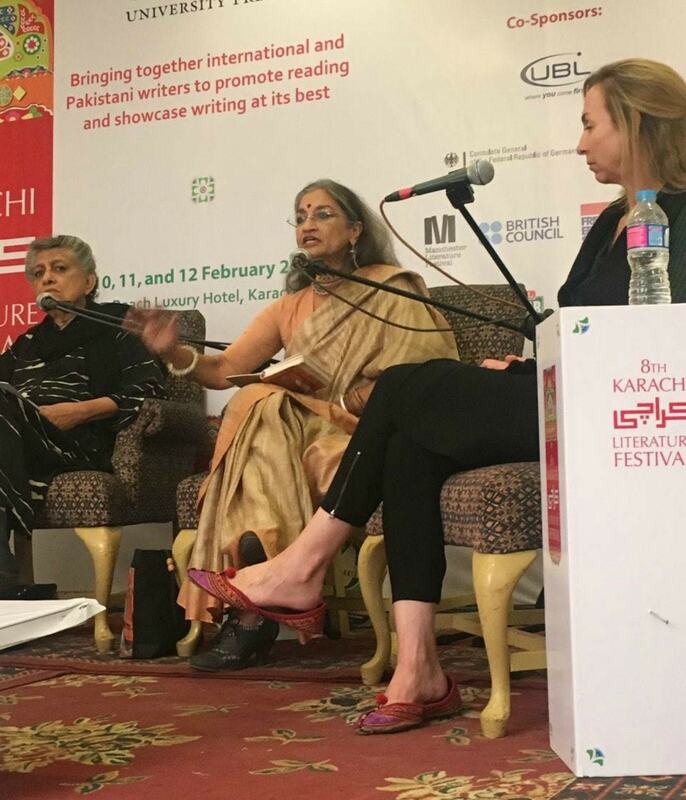 The author of ‘No Honour in Honour Killing’ spoke at length about how Pakistan’s legal structure enables honour killers to walk scot-free during session ‘Gender Violence, Law, Religion and power in Pakistan’ on Day 1 of the fest. 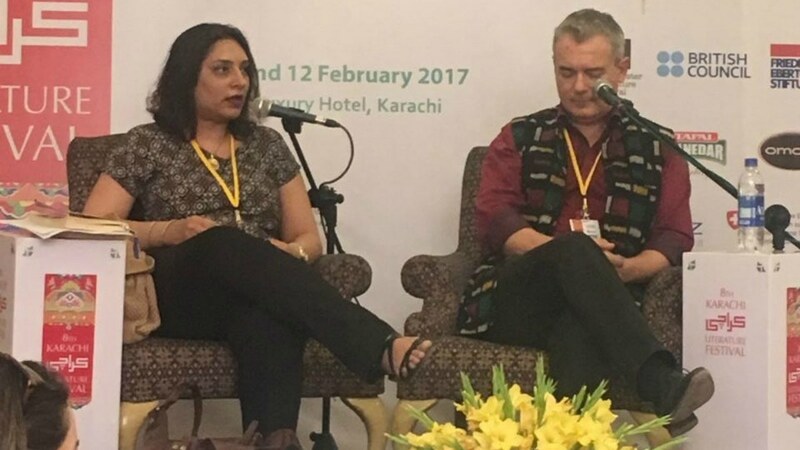 Renowned classical dancer Sheema Kermani’s talk on culture during session ‘Cultural Heritage Preservation in Pakistan and South Asia’ on Day 2. 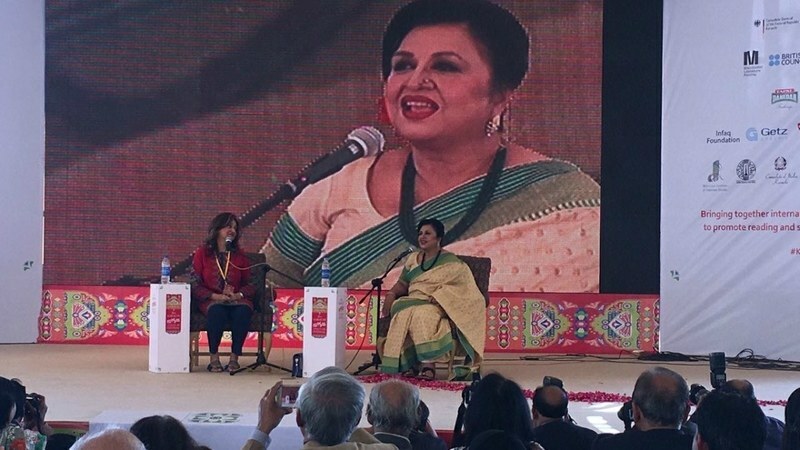 Shabnam’s session ‘Phool aur Shabnam’ with Bushra Ansari on Day 2 was completely packed. People of all ages flocked to the main garden to see the veteran actor as she spoke about her life achievements. Educationist and writer Anam Zakaria on the importance of scrutinizing history textbooks in the session ‘Skewered History: How History Dies with the Syllabus’ on Day 1. The police officer-turned-novelist opened up about his life in the session ‘Murder they wrote’ on Day 3. 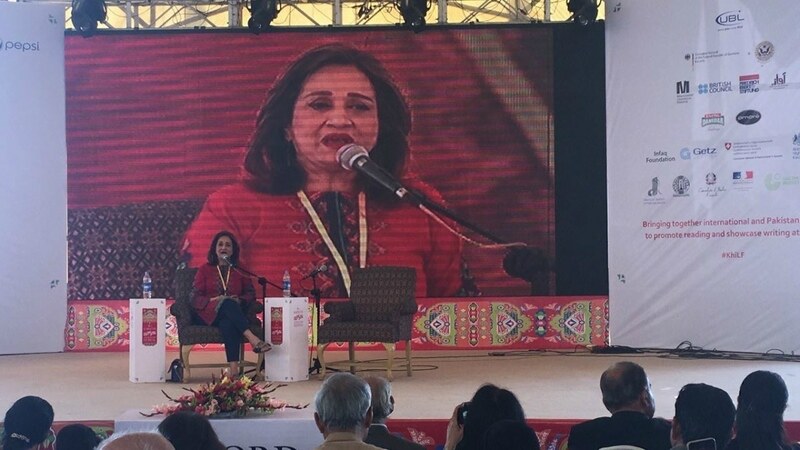 The extremely talented Bushra Ansari aimed to entertain while Shabnam was en rout to the KLF during session ‘Phool aur Shabnam’. And though the actor joked, belted out a song for her fans, she also touched upon our local film industry and pointed out how the emerging cinema needs to be applauded for the efforts (being) put into it. The hilarious session ‘Zara Hut Kay’ on Day 2 had everyone erupting in laughter as trio Wusat Ullah Khan, Mubashir Zaidi and Zarrar Khuhro spoke about their TV show and how Pakistani’s take satire with a pinch of salt. And of course, there were quite a few funny inserts from moderator Nadeem F. Paracha. Designer Maheen Karim had a number of interesting experiences to share with the audience in session ‘The New Generation of Creatives in Pakistan’ on Day 3. Fiction- writer Shandana Minhas explains the thought process behind her novel during her book launch Daddy’s Boy on Day 3. Kashmiri novelist and journalist Mirza Waheed on growing up in Kashmir during session ‘Of Love in a Place of War’ on Day 2.